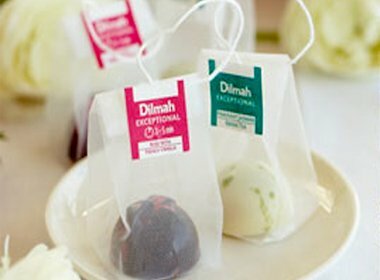 The global Dilmah Real High Tea Challenge completed the Australian leg of the competition with announcements made at a ‘Chart-tea’ event in Sydney recently. Among the winners of the event were current Le Cordon Bleu Patisserie students Sonia Siu and Sarah Cromwell. The competition involved using Dilmah teas to produce and serve an afternoon tea menu, where meals were paired with different teas, food dishes were created using tea infusions, and brewed tea, tea cocktails and mocktails were served. Sarah and Sonia chose a fusion theme based on their respective English and Asian Heritages. It was a real challenge for the students, because they had not worked extensively with tea on this level before and the subtly of the teas made pairing an interesting challenge with very interesting outcomes. However both Sarah and Sonia’s hard work paid off as they received one of the ten gold medals awarded in the Professional category amongst national entrants.